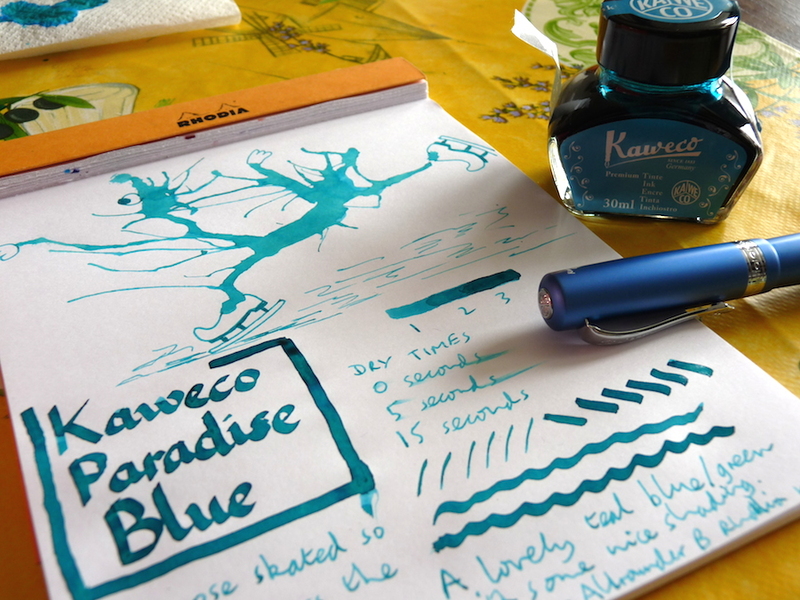 Kaweco Paradise Blue ink review – Pens! Paper! Pencils! This is a lovely teal blue colour with just enough shading to bring the ink to life on the page. The dry time is pretty good and it flows well. 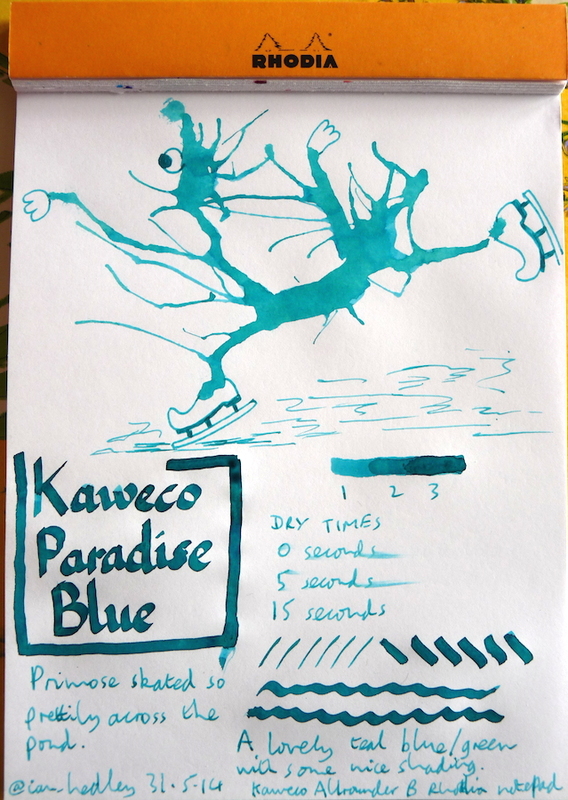 Thanks to Kaweco for sending me this ink for free. I’ve tried not to let that influence my review at all. What pen is that, Im referring to the blue one in the picture? It’s a Kaweco Allrounder. Jolly nice pen.